An increase in the mobile brand CPC has already started increasing by the end of the month of June and this has only had an impact on smartphone CPCs. It was seen that the average mobile CPC or cost per click for branded keywords started shooting higher during the end of the month of June. 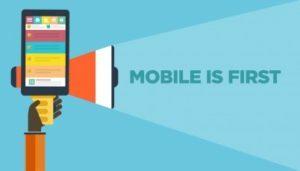 As per a blog post, Andy Taylor, Merkle’s senior Research analyst wrote that the median Merkle has noticed that mobile CPCs increase from 25% to 30% above their actual position which was found out in the month of May. Meanwhile, therefore the costs of desktops and tablets kept fluctuating within their normal ranges and Merkle advertisers say that mobile traffic share even remained pretty steady throughout this entire period. In the previous year, Merkle witnessed a sudden leap in brand CPC through all devices which started during the first quarter of 2015. By the time the second quarter of 2015 ended, brand CPCs for every advertiser was at least 23% higher than the normal historical average of the last four years. Are you someone who is actually seeing such similar changes in your own account? If answered yes and if you’ve seen such an increase accounts, you might just choose to lower mobile bids, which is a situation which is all so familiar with that of the last year in response to increases in the CPC.